يقع فندق Opal Inn، المصمم ليناسب كل الضيوف سواء كانوا من رجال الأعمال أو السياح، في مكان ممتاز في أحد أكثر المناطق تفضيلاً في كوبر بيدى. إن موقع الفندق الاستراتيجي، الذي يبعد 0km فقط عن مركز المدينة، يسمح للنزلاء بالوصول سريعاً وبسهولة إلى العديد من الوجهات المحلية المثيرة. كما يمكن الوصول بسهولة إلى Opalios, امونا اوبال, ‪Big Winch‬. إن Opal Inn حريص على توفير الراحة للنزلاء، فلا يوفر الموظفون جهداً في تقديم أفضل الخدمات وضمان حسن الاستقبال. إن واي فاي مجاني في جميع الغرف, خدمة التنظيف يوميًا, خدمة غسيل ذاتية, تخزين الأمتعة, واي فاي في المناطق العامة هي جزء فقط من الخدمات التي تميز Opal Inn عن باقي الفنادق في المدينة. استمتع بوسائل الراحة الراقية في الغرف أثناء إقامتك هنا. بعض الغرف تتضمن تلفزيون بشاشة مسطحة, اتصال لاسلكي بشبكة الإنترنت (مجاني), غرف لغير المدخنين, مكيف هواء, تدفئة لمساعدتك على استعادة طاقتك بعد يوم طويل. يقدم الفندق خدمات رائعة كمثل مسار جولف - ضمن 3 كم لمساعدتك على الاسترخاء بعد نهار طويل من النشاط والتجوال في المدينة. مهما كانت أسبابك لزيارة كوبر بيدى، فإن Opal Inn هو الخيار الأفضل لإقامة مثيرة وممتعة. Excellent value meal. Lovely flavours, above and beyond what you would expect in Coober Pedy. The motel was So-so as you would expect in the middle of nowhere. Still better than others in town. Not really secure accommodation,very easy to access from the streets and road for anyone. we had a teenager thief tried to break in through the window next to the door,luckily I woke up when he had tried to unlock the door and woke my husband up and told him to chase him away. It happened at 1230 midnight and we couldn't go back to sleep at all,my husband even think to stay up whole night just incase he might return with partners. we paid $115 for a night, the air-con ran like a old train,we couldn't have it on while sleeping, and had no sleep atfter midnight. 700kms drive next day. I will pay a little bit more to sleep somewhere else to have stress free. Clean big and spacious. Great motel and if you don't want to try cave hotels this one is great! Not underground but if you're looking for a clean and convenient hotel then this is it. Staff were super friendly and helpful. Would stay again. Good water pressure; nice hot water; Fridge available and cold. Two small items made the stay a little annoying - no plug for the wash basin; wifi service unreliable - frequent drop-outs. Located right at the entrance of this very small town. Staff were helpful and informative. Slight problem with late check-ins. The counter was closed by 10:00 (local time). Great. Pretty good motel type place. Really friendly staff in front of house and all around the hotel. Centrally located, you can walk all around town from the hotel. Didn't eat or drink in the bar. 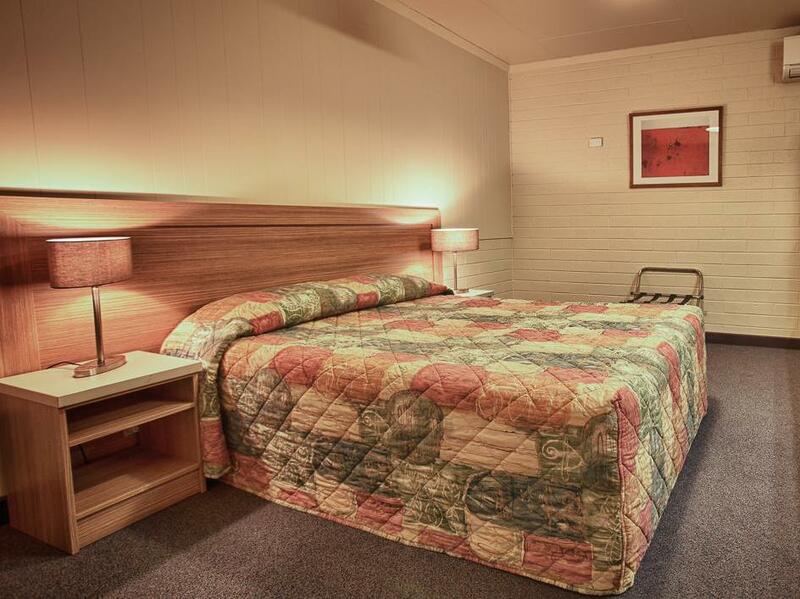 OK no problems, good for overnight stay..
A good place to stay after long drive on the Stuart Highway. 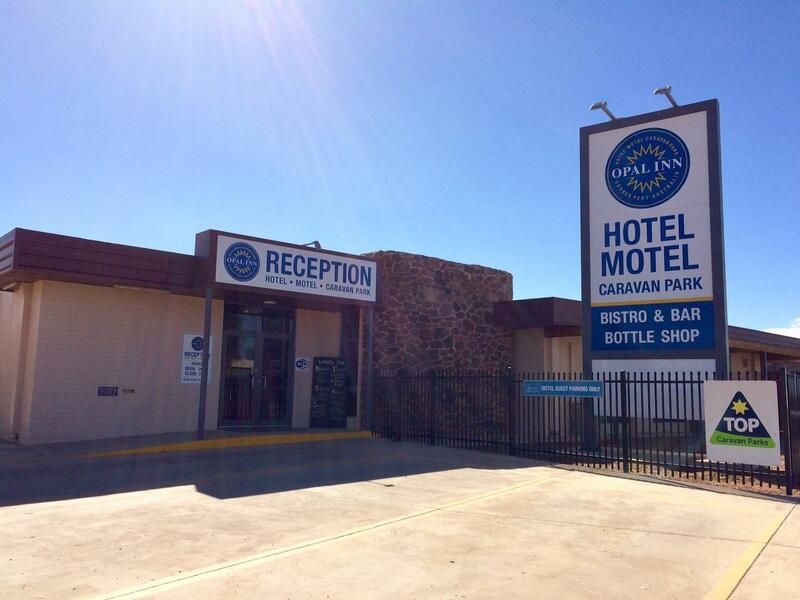 Stayed for a night to break up drive from Adelaide to Darwin. Value for money accommodation , would stay there again.